Rainwater management has become an important factor in commercial building and urban planning for a number of reasons. In regions with drought, water conservation has become especially important. In coastal freshwater and saltwater communities, stormwater runoff must meet a certain quality standard to be safely returned to this delicate ecosystem without harming wildlife. Because of this, it is more important than ever that rooftop water is diverted correctly into gutters and allowed to travel to its intended spots. To do this requires a functional gutter system. Gutters need to follow three requirements to work well. They must be able to send the water to where it needs to go. They must be able to divert the water along horizontal roof edges into downspouts without spilling over. Finally, they must be able to continue to function without regular clogging. The right gutter size and style will depend a lot on the square footage and pitch of your roof. The water must be able to flow into the gutter without splashing back out, and to be able to hold the volume that a large roof can carry and safely divert it into the downspout. This requires knowledge of the rate and volume of water that your roof can move. The gutters along the eaves of the roof are not typically meant to be horizontal. Instead, they must slope enough to send the water to the downspout. A short gutter stretch will typically slope in one direction, with a downspout located at the low end. A longer stretch of gutter will crown in the middle, sending water in both directions toward downspouts located at the corners of the building. 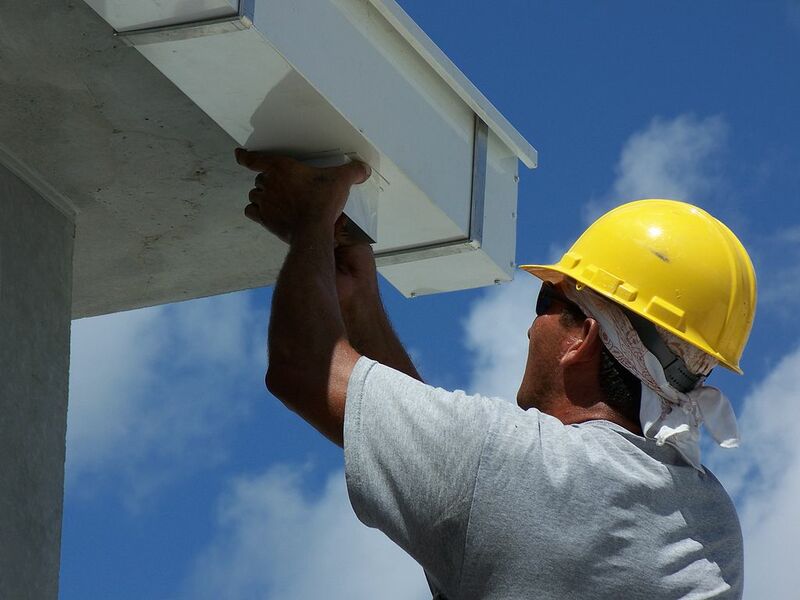 Gutters are installed in sections, and these must be connected tightly enough to prevent sagging, which will destroy the water flow scheme. The kind of clog prevention needed is often based on the materials most likely to clog your gutters. Tree leaves can be excluded from gutters with filtered caps that keep them out while allowing water to drain through. These are not typically as great at keeping composite roof sediment or pine needles out, however. A combination of screening either inside or outside the gutter as well as regular maintenance is the best way to keep gutters clear. For more information about gutter installation services, contact USI online to find a branch near you and get a free quote. USI believes in excellence in every step of the process and ensures timely completion and quality of service, time after time.